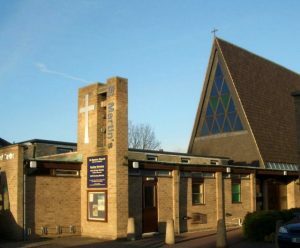 St Martin’s Church was built in 1960 and is a modern church with good facilities, including an uplifting worship space, a large Hall, good kitchen and dining room, a Day Centre for senior citizens and a quiet garden. But it is so much more than a building. 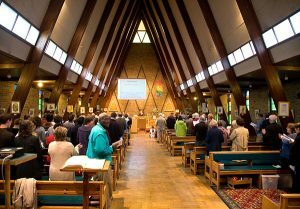 St Martin’s Church is a lively fellowship of well over a hundred people from many walks of life and origins who have committed themselves to serving God and their neighbours here. 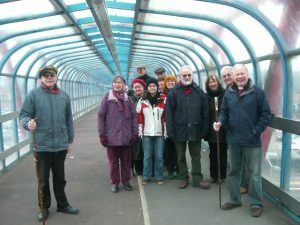 Most of them live within walking distance of the church and have strong links with the neighbourhood. They are a complete mix of ages, backgrounds, education and income. Those with learned doctorates mingle with those with learning difficulties, the working with the unemployed, the old with the young, and the rich with the poor. Together we assemble week by week to worship, and listen to God’s Word from the Bible. And together we gather around the holy table to receive the signs of Christ’s love portrayed in bread and wine broken and shared. And then together we go out into God’s world inspired by the Holy Spirit to live for him each day. As we share the good news of Jesus Christ we see others come to put their faith in him and together we welcome them into his fellowship in the water of baptism. 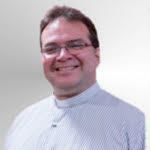 St Martin’s is also an Anglican Parish, part of the Church of England, celebrating its rich heritage from that stream. As a member church of the Fellowship of Confessing Anglicans we favour the orthodox theological and traditional ethical stance which was spelt out in the Jerusalem Declaration of 2008. We reject the dilution of the clear meaning of scripture to suit the taste of the present age, but rather pray for the conversion of this generation to the timeless truth of the healing gospel. So St Martin’s is open and welcoming, not judging or critical, members are aware of their own shortcomings and are there for the whole parish whoever and whatever they may be. Like good doctors and nurses we always hope to help, not to condemn. St Martin’s is also part of God’s worldwide Church and so welcomes all fellow Christians from any other denomination or stream as brothers and sisters in the Lord. Locally we share in the Romsey Town Churches holding fraternal meetings, united services termly, and working together on projects. Globally we have always supported and sent people to share in the wider work of the Kingdom of God. At present members are working in East Asia, Indonesia, Thailand and the UK. One of the many ways in which we seek to serve the neighbourhood is the Centre which each weekday welcomes referred seniors who benefit from getting out, meeting others, gentle activity and mental stimulation, a good lunch and a good laugh. 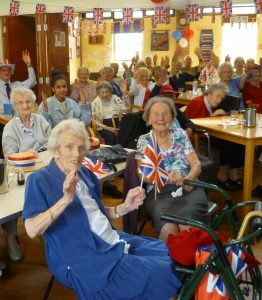 We provide transport, trained staff and pleasant surroundings and so enable those who are becoming frail to stay longer in their own homes, and in some cases enable their carers to have a break for a few hours. We have all sorts of other groups which we hope will enable some people to become disciples of Jesus Christ because there is no greater privilege on earth and a great assurance of heaven. Do come and join us. Johannes Roth, Vicar.